The National Working Committee, NWC, of the Peoples Democratic Party, PDP, Thursday said no amount of fabrications, attempt at set-up as well as veiled and open threats allegedly by the All Progressives Congress, APC-led federal government can stop its Presidential candidate in the 2019 election, Atiku Abubakar from reclaiming his mandate at the tribunal. The statement added that “such orchestration is also targeted at instilling fear, cause apprehension in the citizenry and create an opening to further suppress genuine public opinion and the course of justice in the quest by Atiku Abubakar and the PDP to restore the will of the people. “The PDP calls on Nigerians to take copious note of threats by the Presidency through the Special Assistant to President Muhammadu Buhari on Social Media, Lauretta Onochie, to jail Atiku Abubakar based on trumped-up allegations while describing him as “one who is lucky to be walking free. 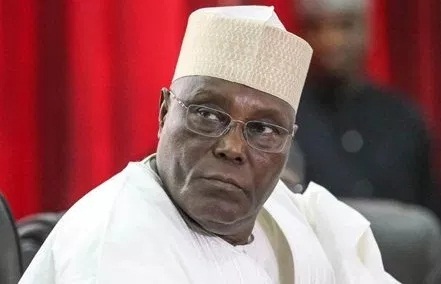 “Nigerians now know who to hold responsible should any harm come to Atiku Abubakar, his family or any member of the PDP Presidential Campaign Organization, PPCO, in the course of the pursuit of the mandate at the tribunal.